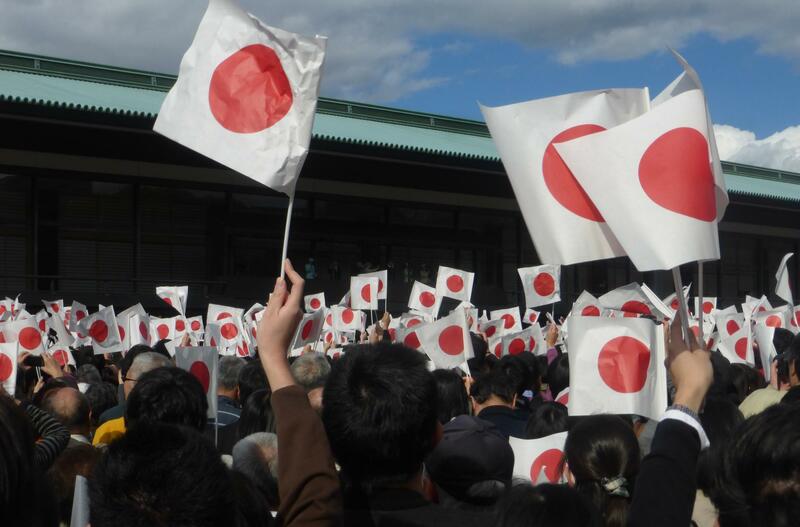 When Japan gets a new emperor, the country gets a new era. The name: a pair of Chinese characters — forever linked with that emperor. Since the restoration of the Chrysanthemum Throne in the 1800’s, there have only been four. First came Meiji, or “enlightened rule,” lasting from 1868 to 1912 — the end of the samurai, and the opening to the west. Taisho, “great righteousness,” was a period of relatively liberal democracy — ending in 1926. The era of Showa, or “enlightened harmony,” marked the reign of Hirohito, the Second World War, post-war poverty and then economic boom — lingering until 1989. We’re now in Heisei, or “achieving peace,” ending on May first – the day after the current emperor abdicates. The choice of a new name has been secretive – involving scholars, a novelist, even a Nobel Prize winning stem-cell scientist. The Prime Minister makes the decision. The new period will be “Reiwa” — spelled in English with an “r,” although there’s not really a sound like that in Japanese. It’s pronounced somewhere between an r and an l.
“Reiwa” can be translated as “order and harmony” and it marks the first time the characters have come from a collection of Japanese poetry rather than a classic Chinese text.